A little bird told me – New evidence supports the work of those caring for churchyards! Guest blog by John Arnfield – Chair, Shropshire Ornithological Society If you have a list of birds seen in your burial ground we would love to hear from you – contact liam@cfga.org.uk or pop to our ‘Share your records’ page. 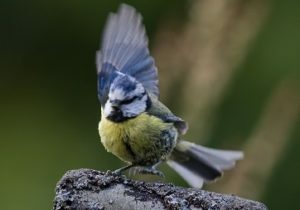 Guest blog by John Arnfield, Chair of Shropshire Ornithological Society If you have a list of birds seen in your burial ground we would love to hear from you – contact liam@cfga.org.uk or pop to our ‘Share your records’ page.